Is it free to register and upload a CV or create an online resume?? Yes, absolutely free, just register and update when you want. Prices start from only £15 for a bundled package, we know its very cost effective! Our head office is near Aberdeen, Scotland. 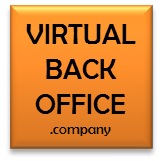 We are an on-line service. Everything is on-line and automated and just look at our prices!